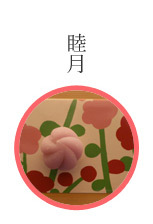 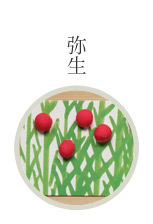 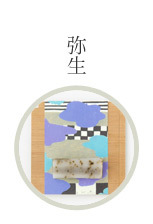 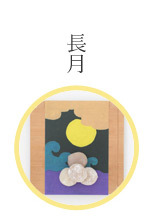 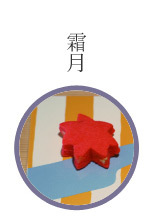 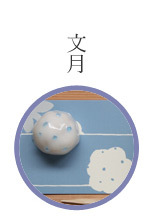 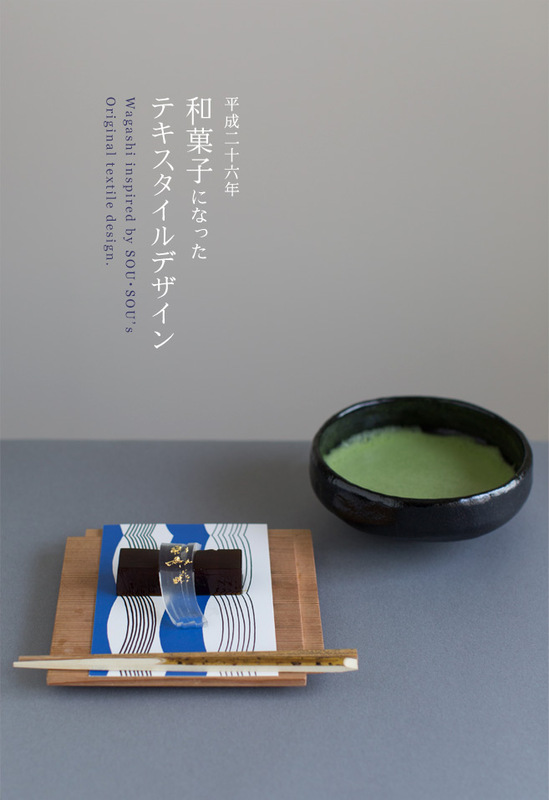 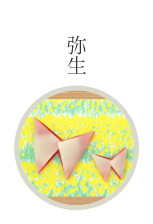 "Wagashi inspired by SOU・SOU's original textile design" has reached its 6th year.The theme of this year is the 24 solar terms. 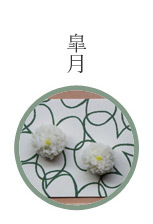 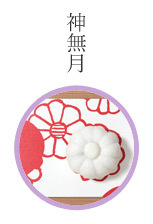 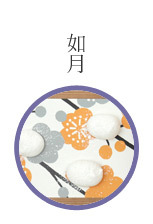 We will be expressing modern wagashi with simpler textile design than our previous works by incorporating the elements of seasonal expressions. 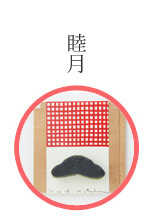 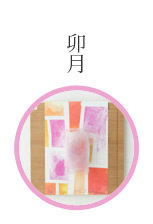 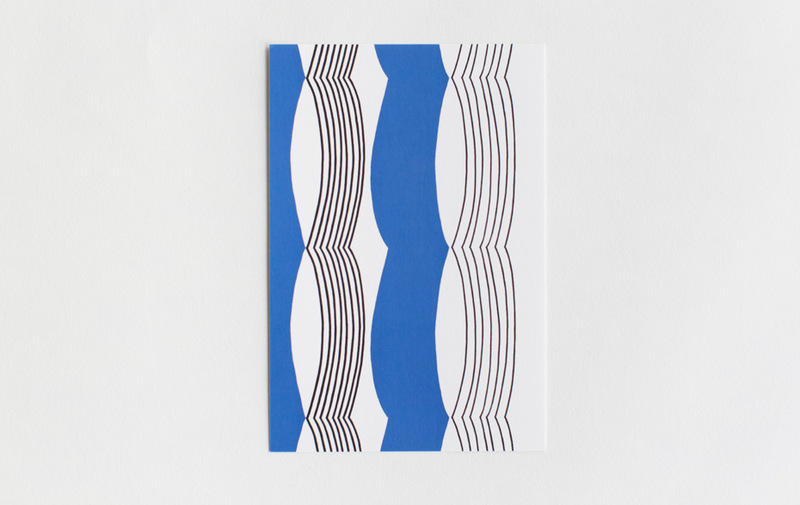 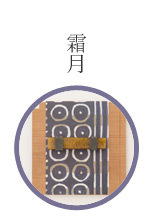 "Textile name : Risshu (Heisei 25)"
Although it is autumn on the calendar, actually we still have lingering summer heat and it is the hottest season of the year. 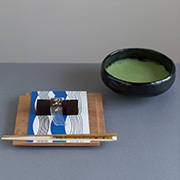 The time we wish autumn would come sooner. 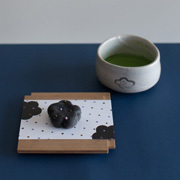 However, there are a little signs of it in the wind's breath and shapes of clouds. 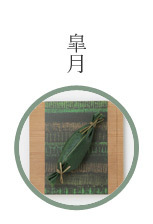 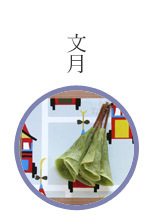 Late summer greeting starts from risshu, the first day of autumn (7th or 8th August) instead of just summer greetings. 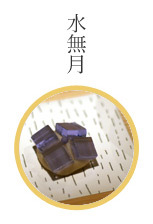 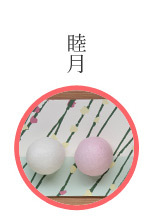 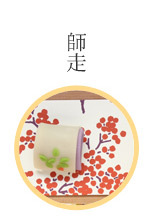 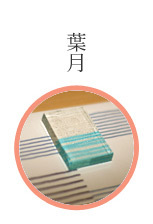 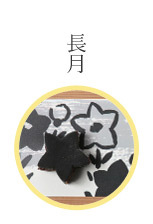 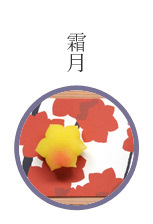 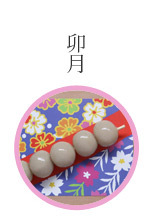 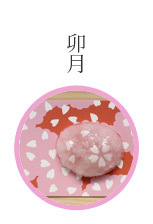 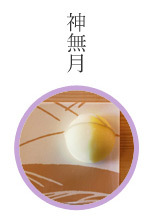 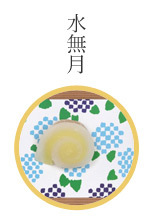 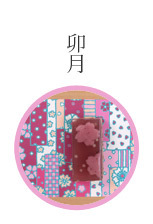 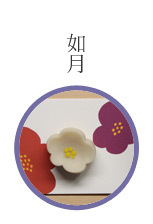 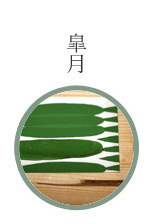 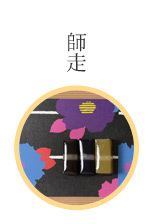 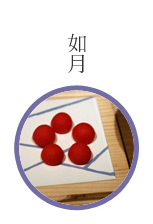 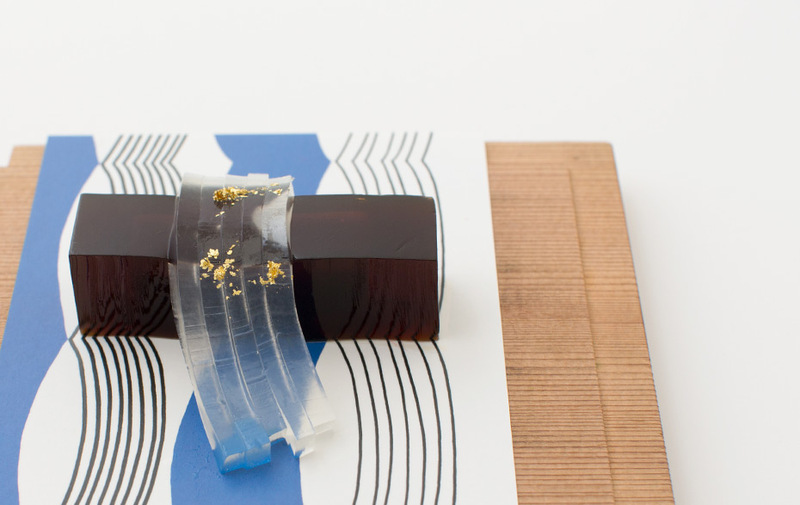 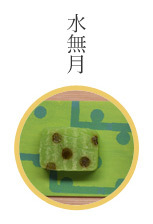 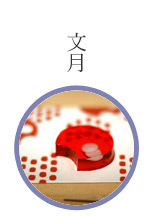 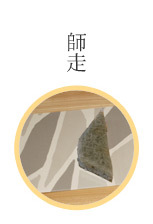 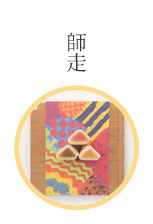 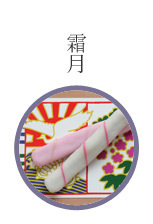 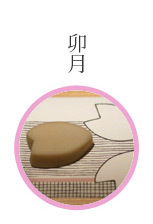 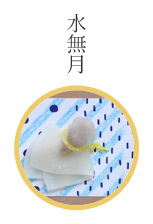 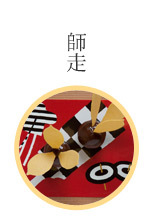 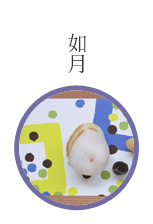 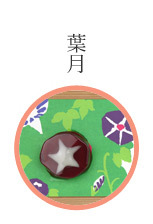 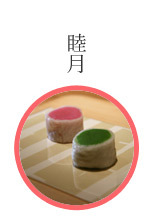 August's wagashi is inspired by kuzukiri, translucent sliced arrowroot, which has sharp and sweet taste for humid days we still have even after risshu. 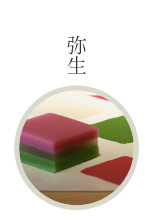 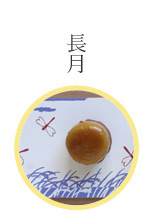 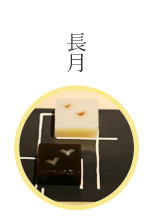 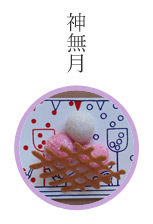 Mousse like sweetened bean paste mixed with kanten, agar-agar, is in kingyoku, made of agar-agar and brown sugar. 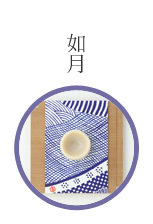 The kuzukiri topped on it, which is also made of agar-agar mixed with kuzu from Yoshino, at Nara prefecture, and “Jurakudai” pure rice premium brew sake of Sasaki brewery. 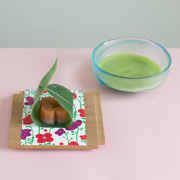 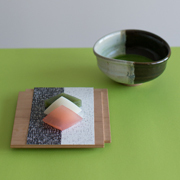 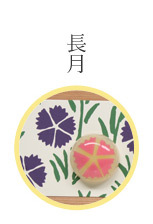 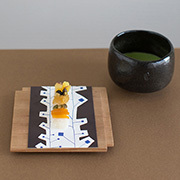 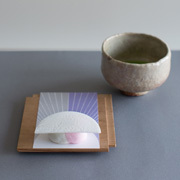 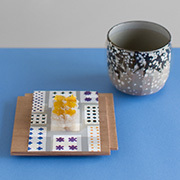 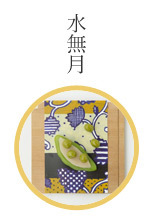 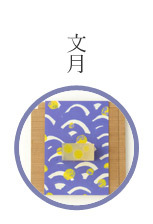 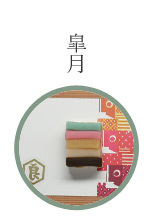 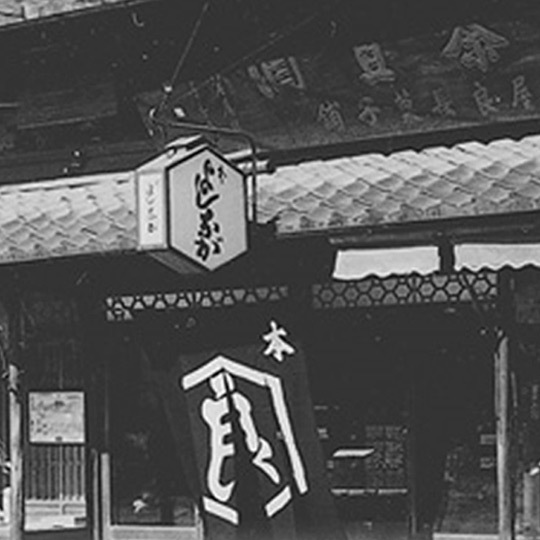 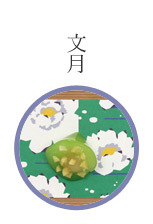 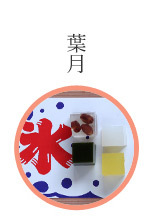 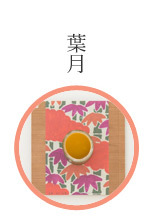 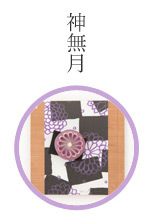 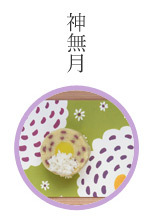 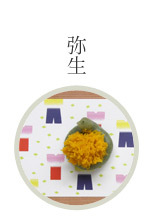 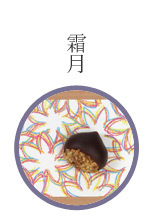 We collaborated with The noted Kyoto patisserie Kameya Yoshinaga.Together we created wagashi that emphasize Japanese seasonal changes as well as our graphic textile prints. 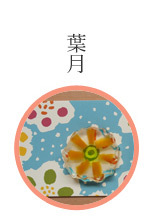 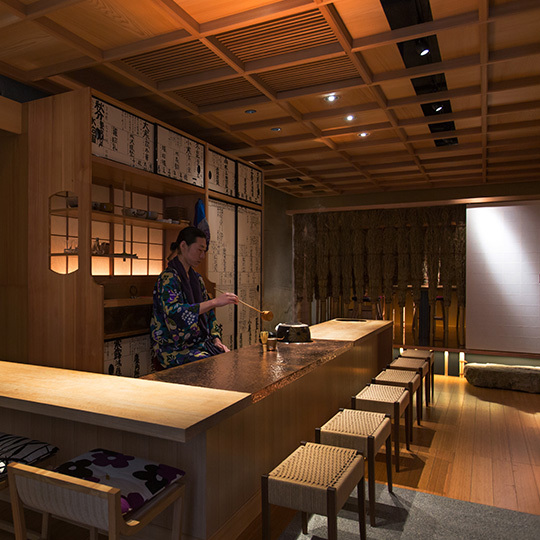 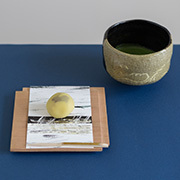 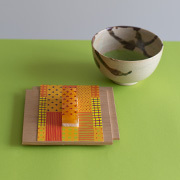 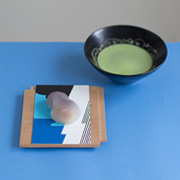 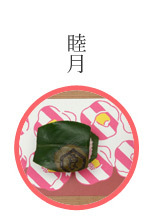 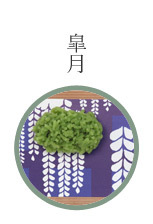 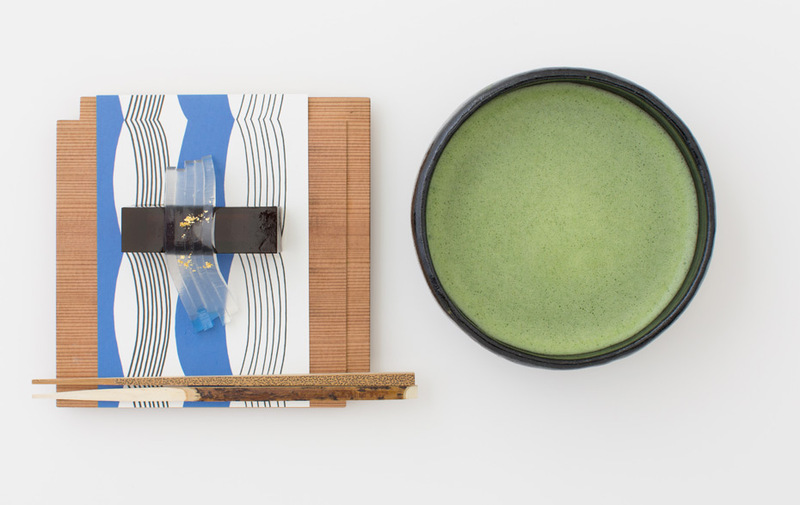 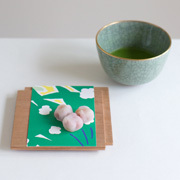 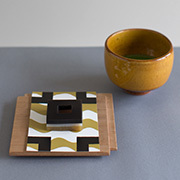 At Zaifu, we serve a cup of green matcha tea (or choice of coffee) and our wagashi based on our textile design.